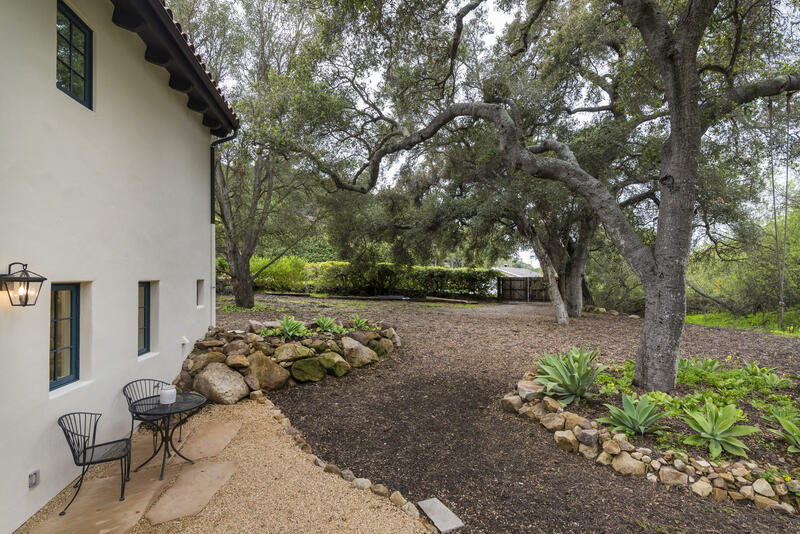 Rarely available authentic Spanish-style home, conveniently located just above the Santa Barbara Mission and steps to the Santa Barbara Tennis Club. 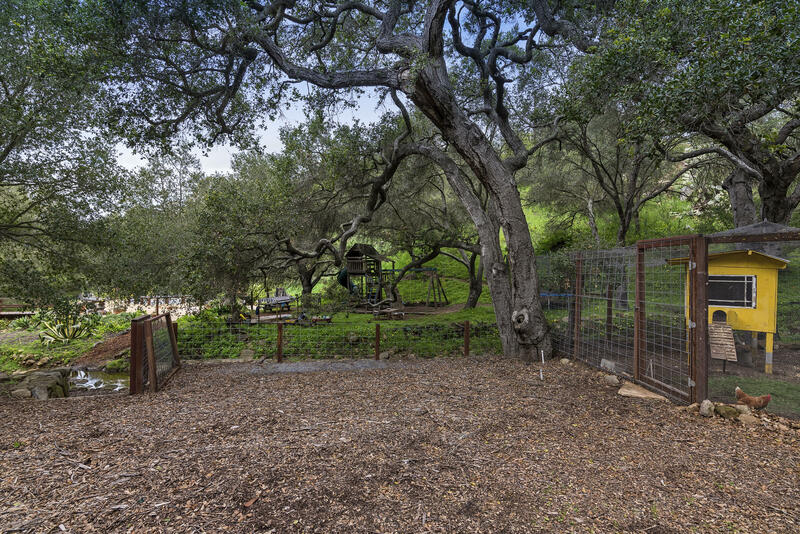 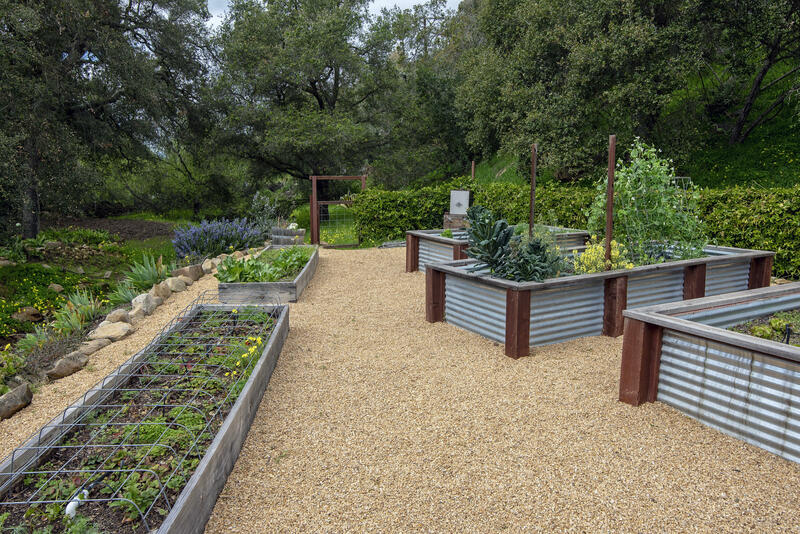 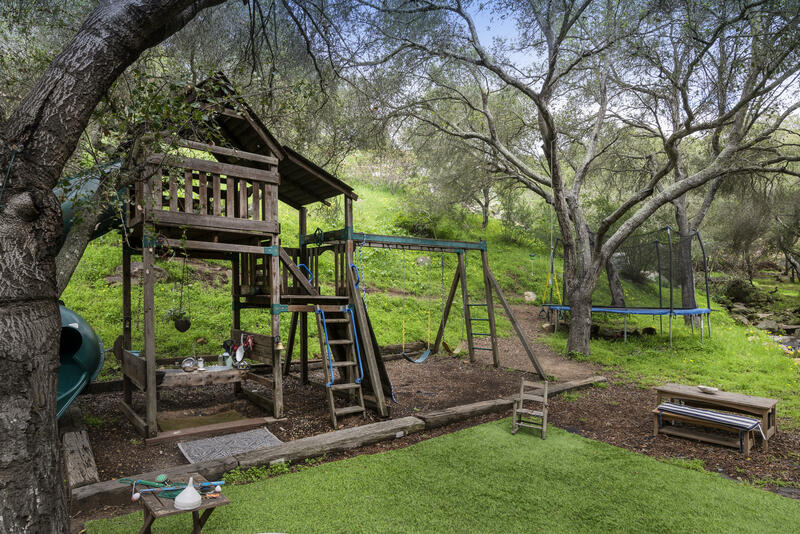 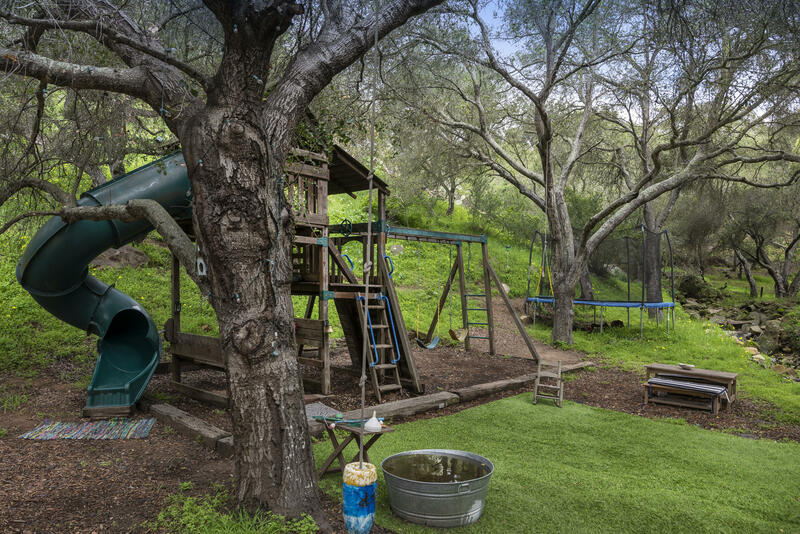 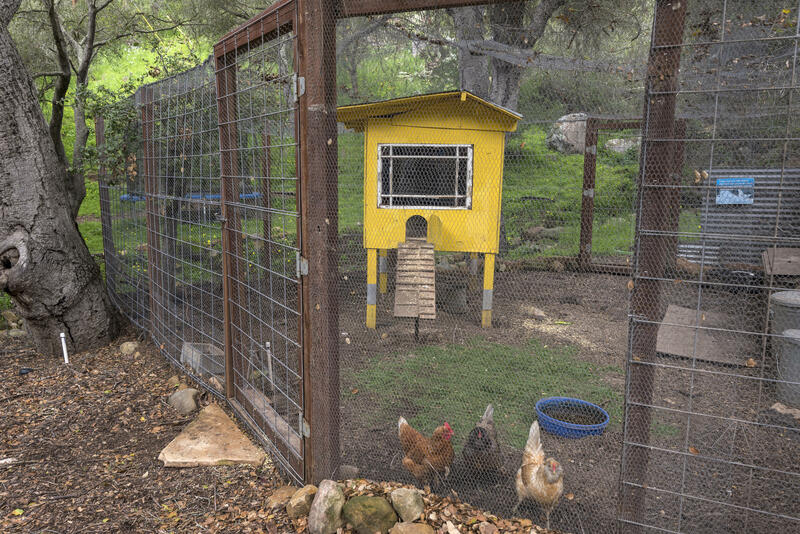 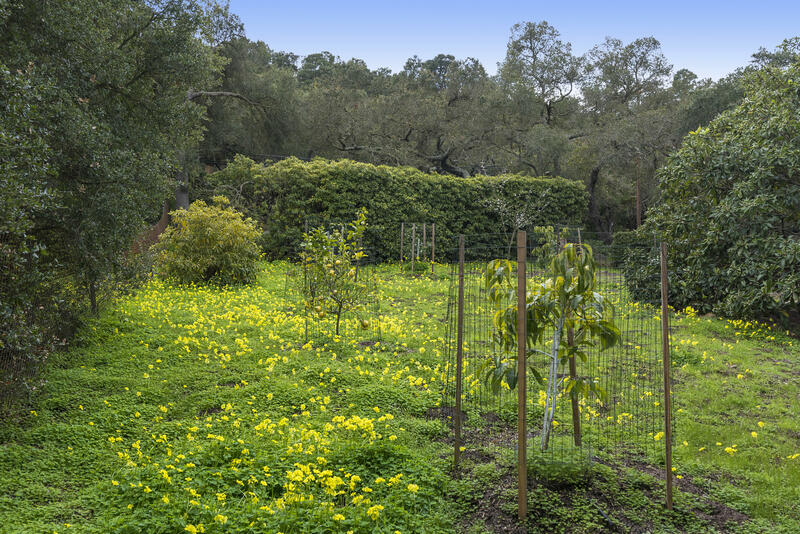 This special property rests on a gated private flat acre with a park-like neighboring property as a backdrop. 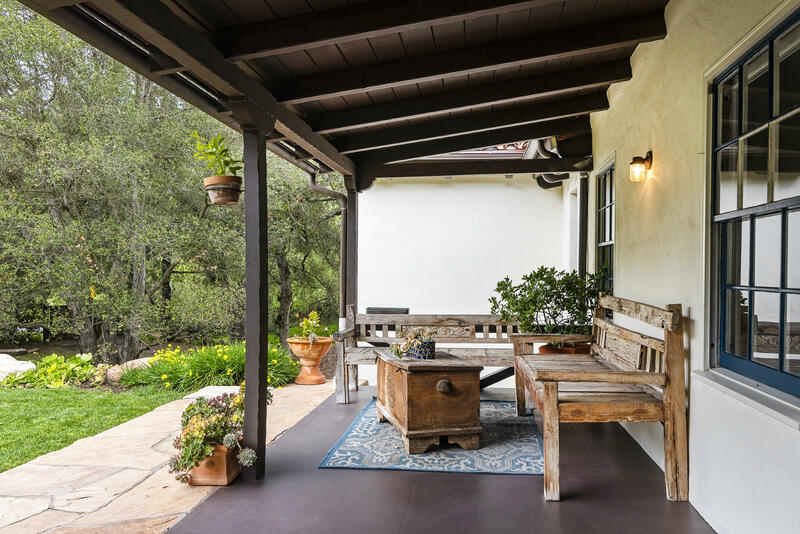 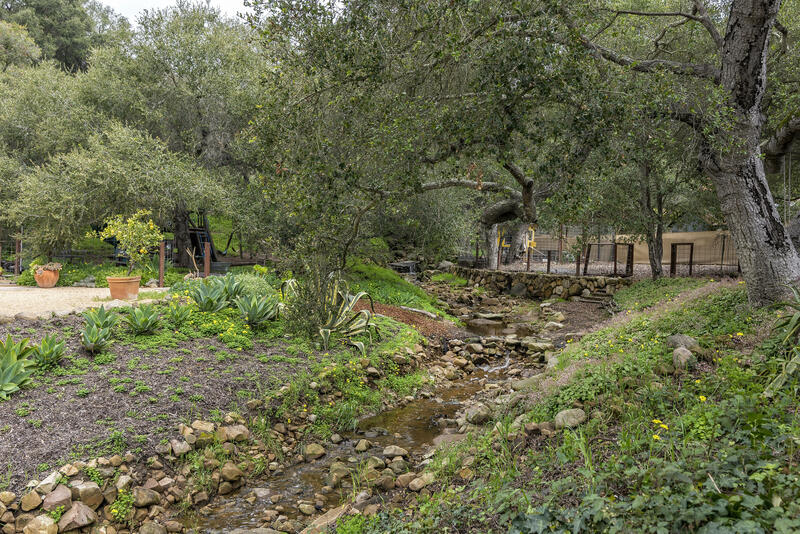 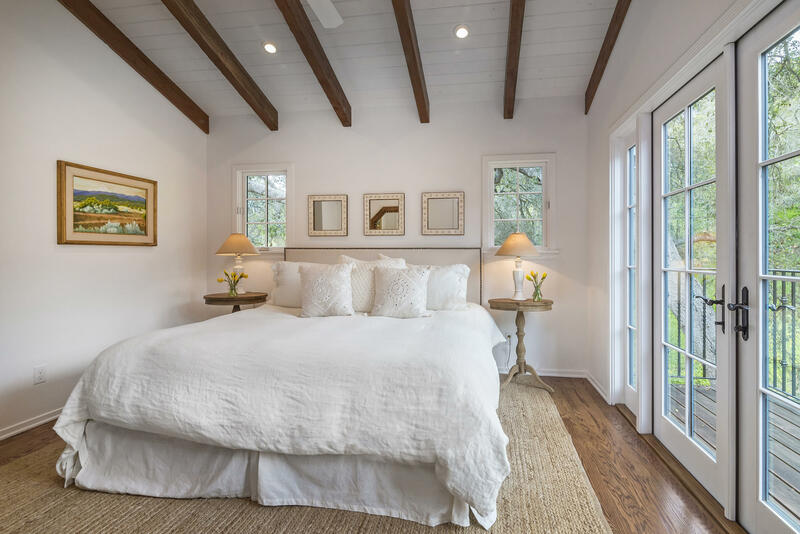 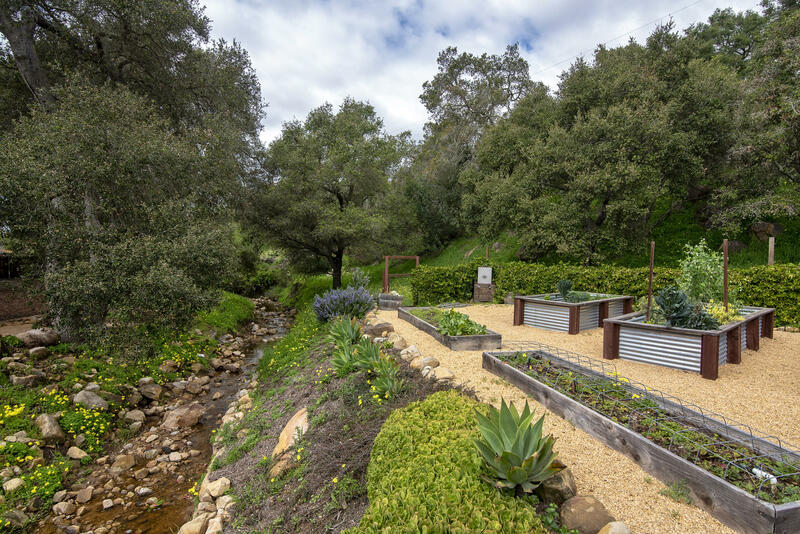 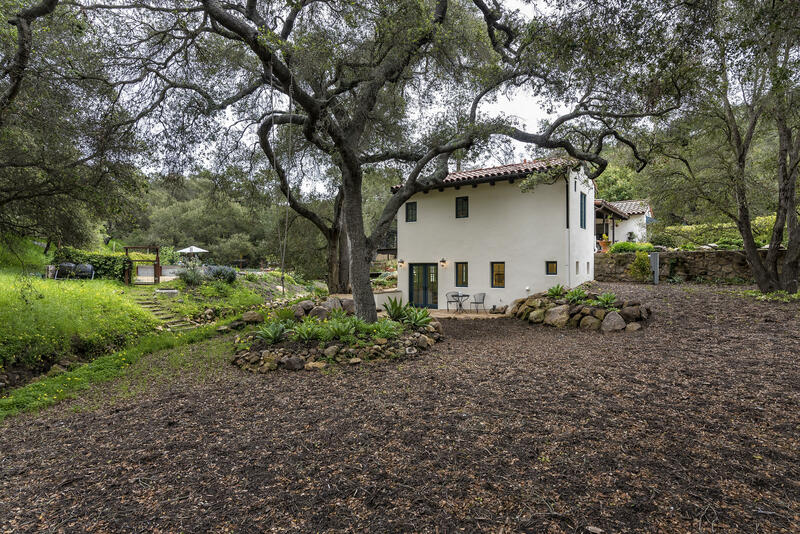 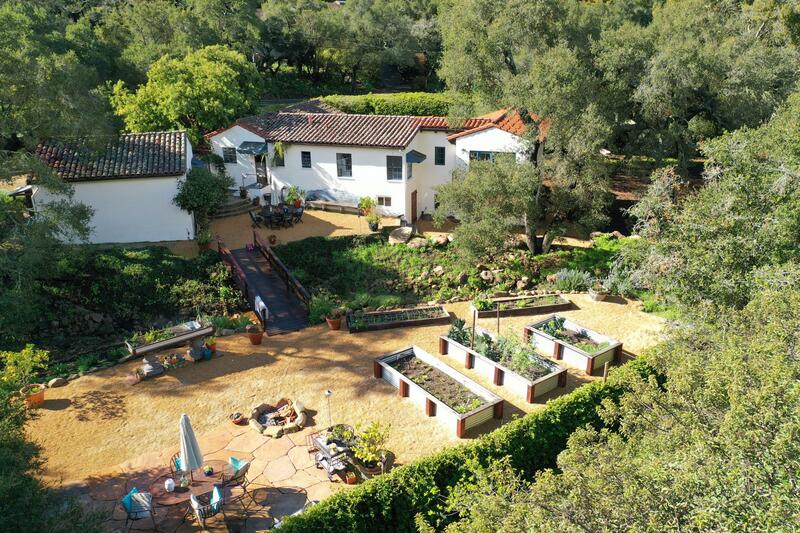 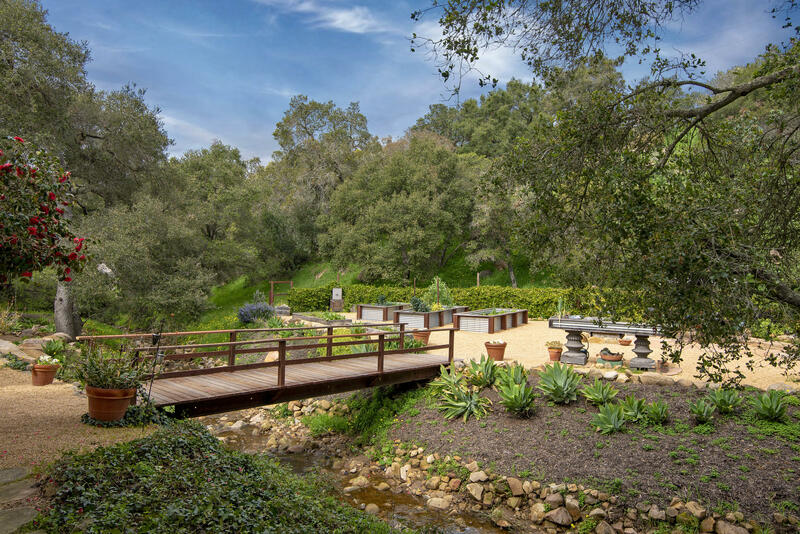 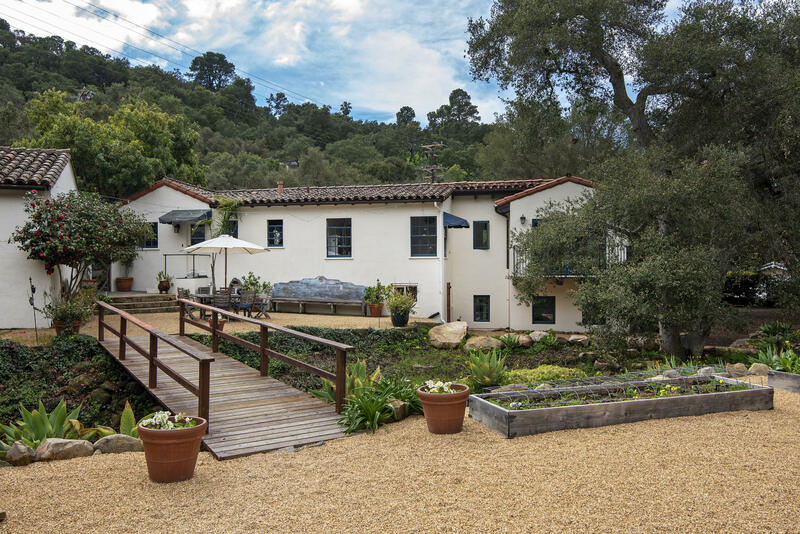 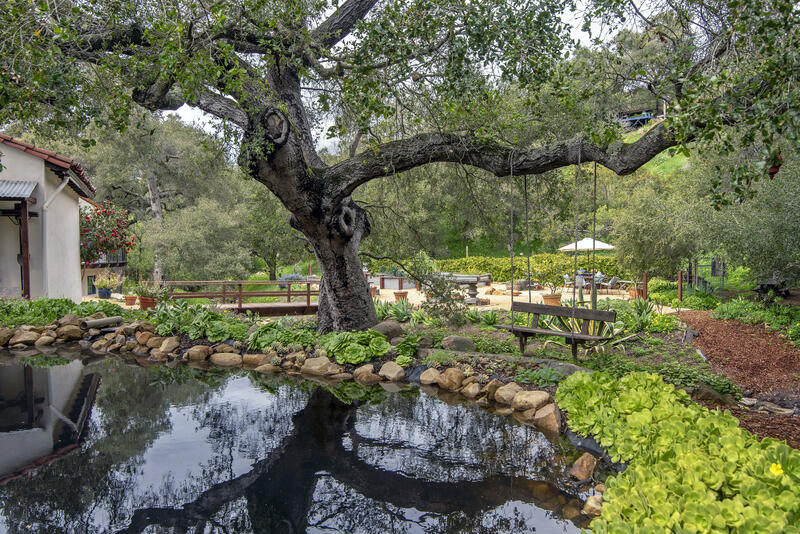 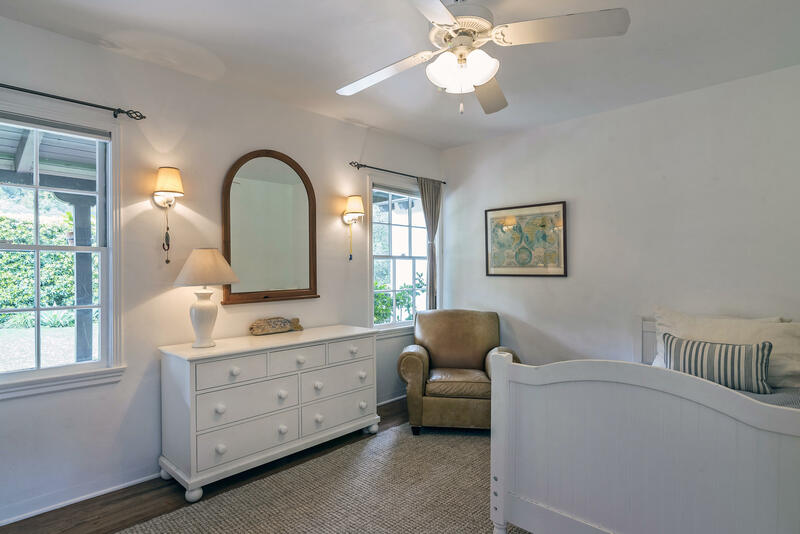 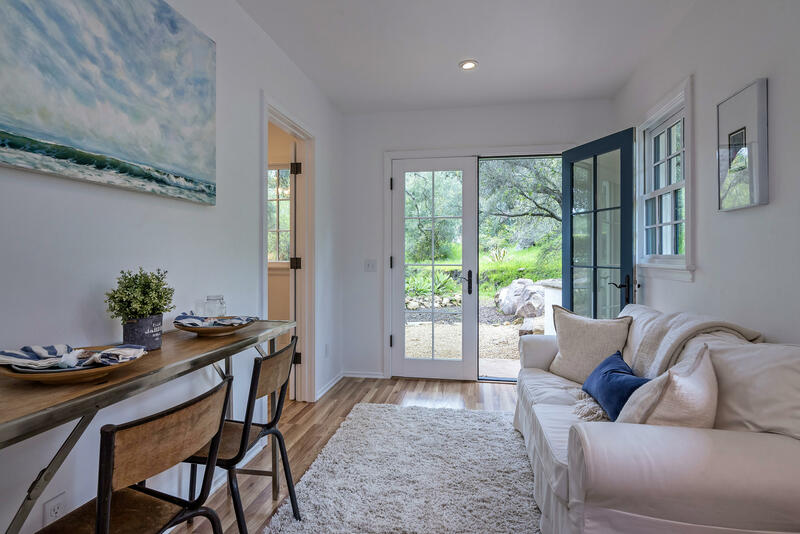 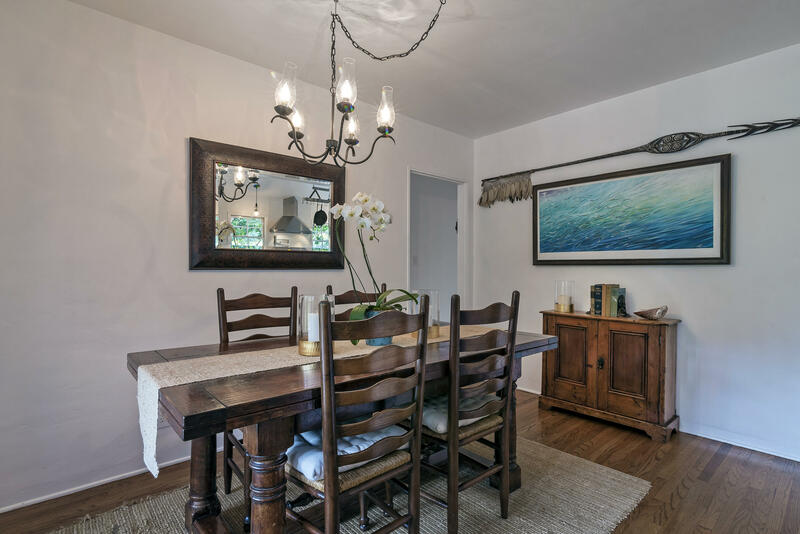 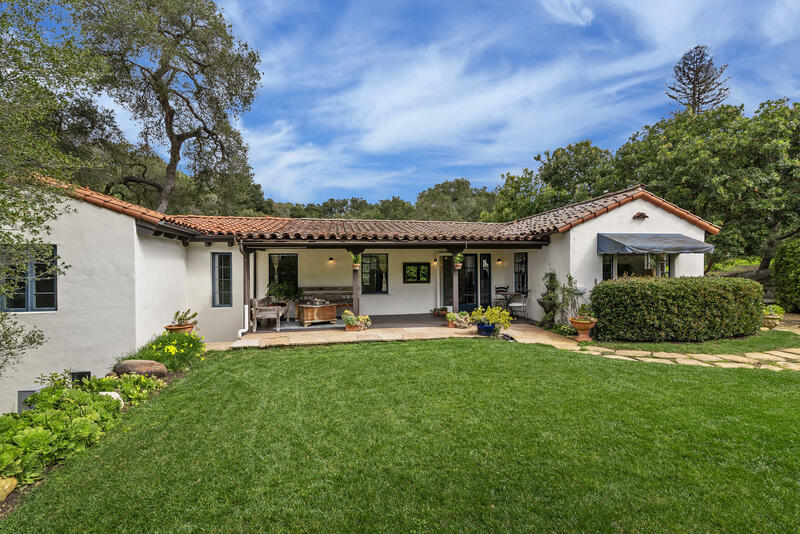 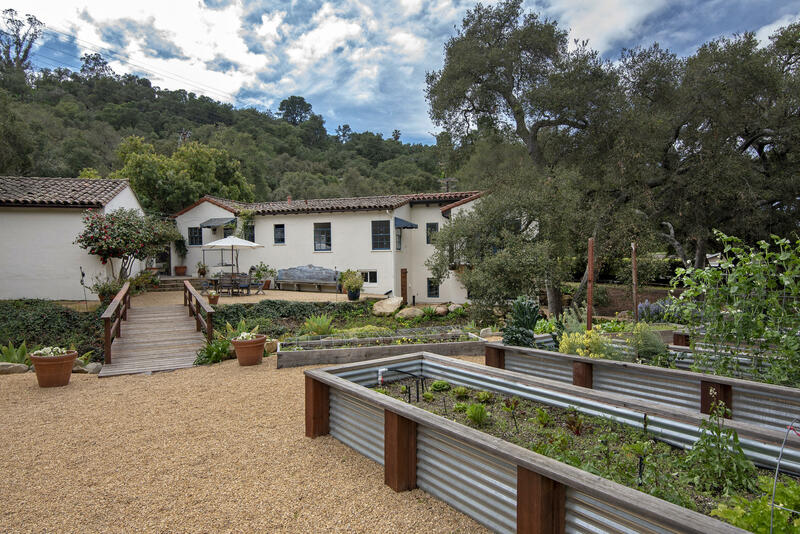 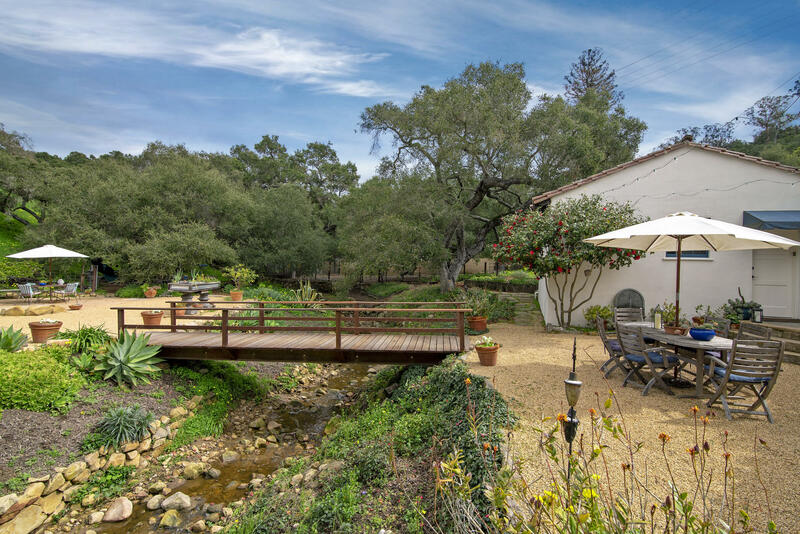 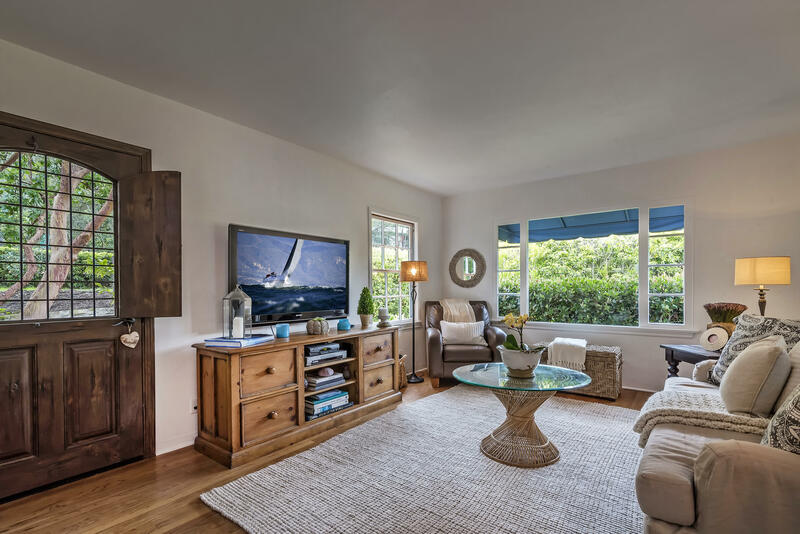 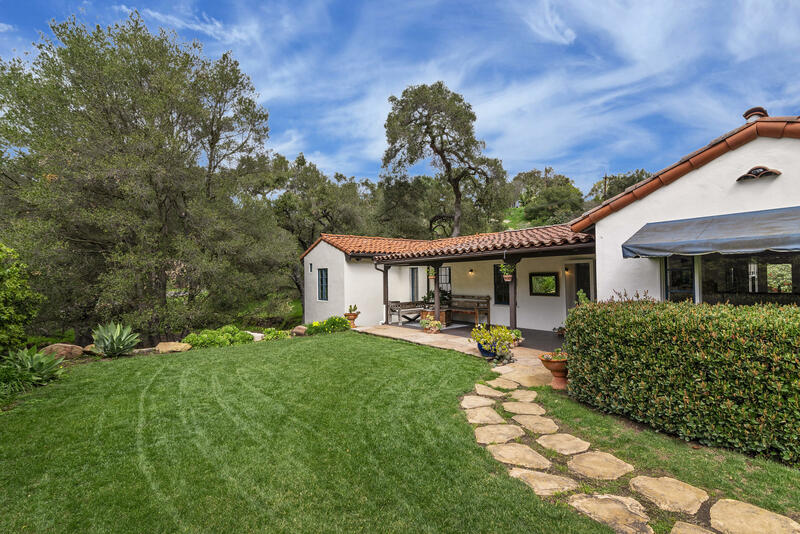 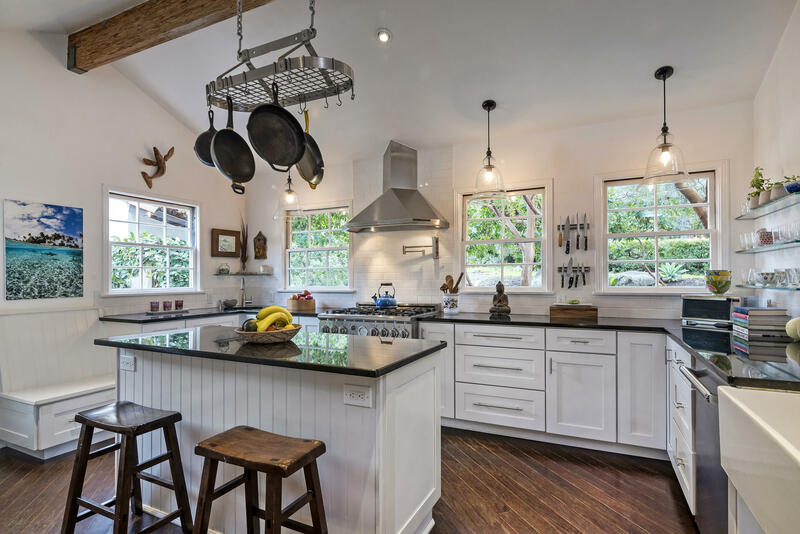 With an open floor plan, abundant natural light, courtyards, stone patios, generous gardens, oak trees, and numerous walkways, this home offers the quintessential Santa Barbara style of indoor/outdoor living. 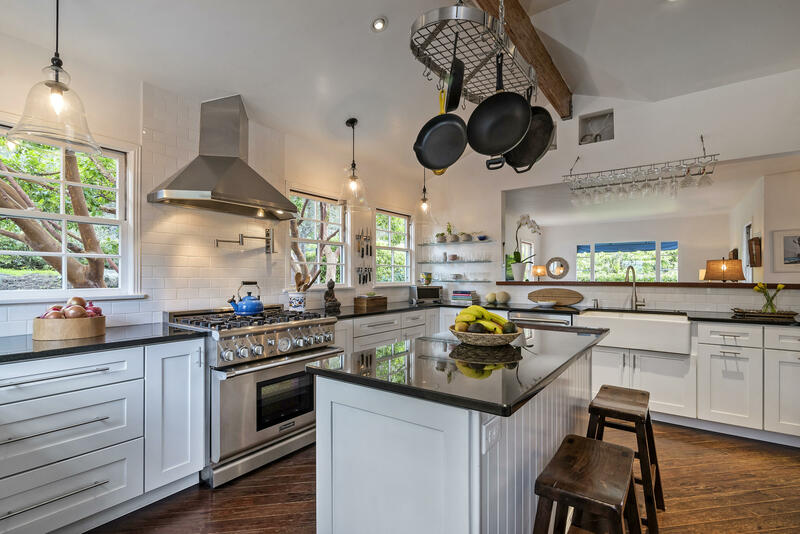 The gourmet kitchen is outfitted with a Thermador range, stainless steel appliances, granite countertops and a generously sized island, all complemented with vaulted ceilings. 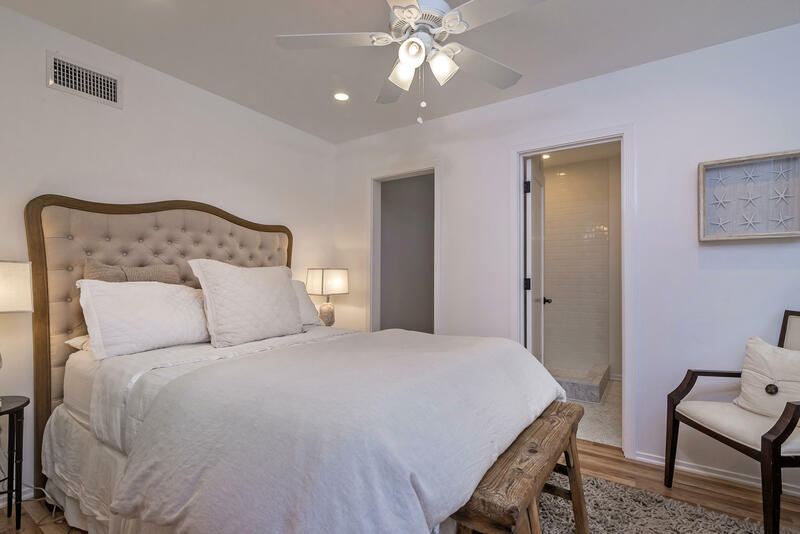 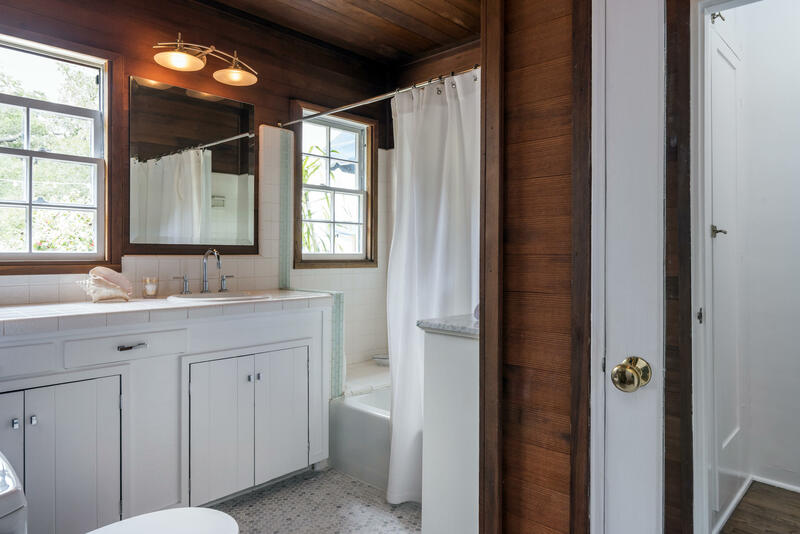 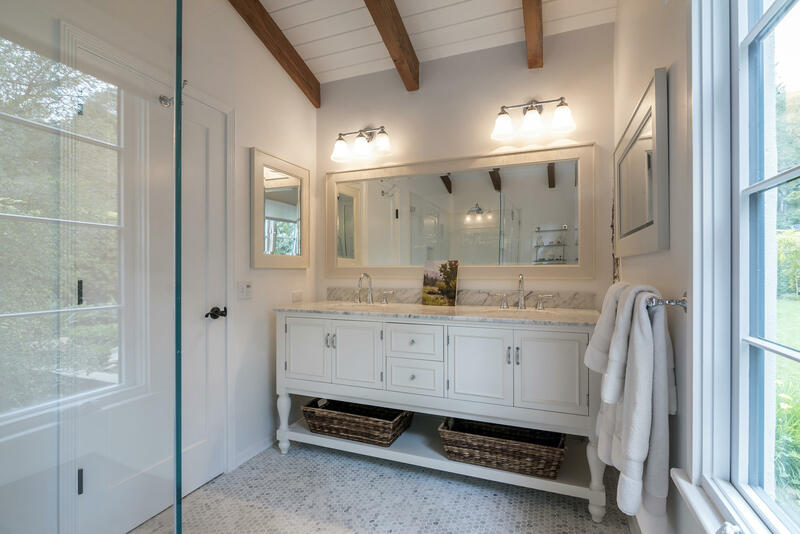 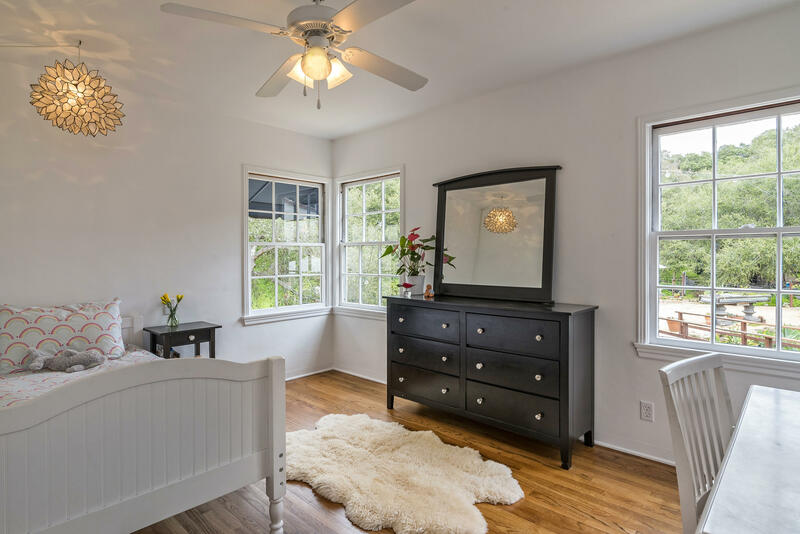 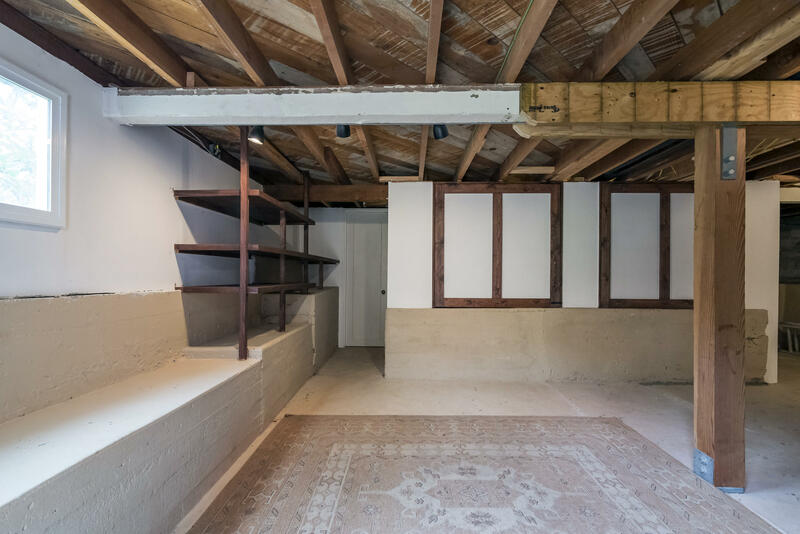 The four bedrooms and three bathrooms offer a flexible layout and include a bedroom & full bathroom on a lower level with its own entry (continued).